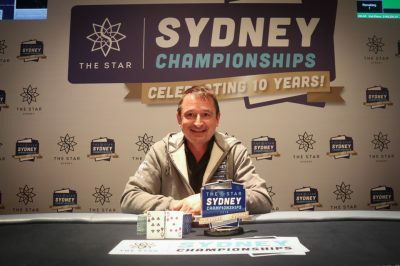 The Main Event is known as one of the pivotal points of every poker festival and this is the case currently at The Stars Sydney Championships which just now granted the big winner of the poker tournament Nebojsa Blanusa with the first-place prize of A$314,265 as well as the coveted trophy coming with it. It could be recalled that the first flight of the Main Event managed to attract some 233 players to the felt and all of them were ready to make it all the way through the levels of action and onto the Final Day. Only 64 of them reserved a spot on the official Day 2 of the event and the chip leader among them was Ryan Hong who had some 360,900. He deserved his spot among the leading players joined by the survivors of the second starting flight aiming to generate a considerable players pool for this event. A total of 290 players made it into the second flight, beating the first one and elevating the overall number of entries to 522. This tenth edition of the championship was set to grant the best among them with considerable prizes thanks to the generated prize pool of A$1,461,600. This performance beats the generated prize pool of 2017 and motivates the surviving 143 players from the second starting flight to give their best on the felt. Chip leader of this second opportunity for entering the field was Dejan Boskovic Jr who had a total of 366,600 in chips to his name. This made him the overall chip leader of the two entering flights. Another notable player joining in was Dmitry Tymoshenko, who is remembered for being the chip leader on Day 1 of the Opening Event. At the end of the Main Event Flight 2, he made it all the way to the fifth position on the unofficial ranking. Day 2 was when poker action really took a turn for the better and players who were not skillful enough were quickly sifted through. From the entirety of the player pool this day reduced the player count to only 12, progressing ahead. The player who bubbled the final table was David Leas, eliminated on the 13th place and receiving a fair payout of A$19,234 for his deep run in the poker tournament. 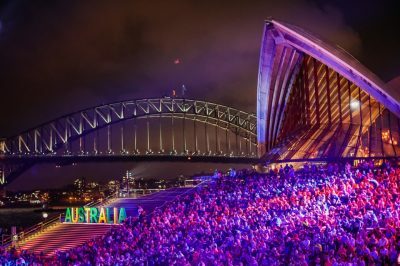 Many of the players remaining had yet to claim a cash payout of this poker festival which is why they were very excited to progress onto the next stage of the Main Event. Dhiya Majeed was the chip leader among those moving ahead, welcoming the remaining players with a total of 3,135,000 in chips. This meant that his chip stack is almost double the amount of many of the players. At the very beginning of Day 3 Majeed and the eventual winner Blanusa were seated at the same table, even though the latter held one of the shortest stacks on the felt – 530,000. Only Michel Bouskila had fewer chips than him, boasting some 515,000. This situation did not discourage Blanusa from fighting for what belongs to him and making it all the way to the top of the official leader board of the culminating event. He was determined to have at least one cash payout of this poker festival and this was the perfect moment to accomplish one. Bouskila was first to double up early on and reserved a spot ahead of his rivals with some 670,000. The first one to be eliminated on Day 3 was no other than Andrew Lock who claimed his paycheck of A$23,517 following the battle with Jason Quarmby. The latter could not make it further than the 10th position which granted him some A$23,515. This is how the Final Table of 9 players was set. The 8th position was reserved for Bouskila, who was eliminated by Brian Lam, showcasing his true potential during this Final Table. The former received some A$36,642 for his deep run. One of the best performing players on the felt, Suzy Khouies had her 50th birthday halfway through the poker action which brought her good fortune and the small fortune of A$79,131 for the fifth position she reached. The heads-up duel took place among Lam and Blanusa, the latter having half the chips of the former. Following several doubling situations Lam was eliminated on the second position receiving a consolation prize of A$194,290.